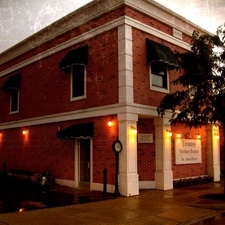 Trenton Veterinary Hospital is located in the historic downtown of Trenton, Mi on the Detroit River. From the moment you walk into our beautiful, quaint lobby we want you and your pet to feel part of the Trenton Veterinary Hospital family. We are a fully equipped medical facility offering comprehensive medical, dental and surgical care. Our goal at Trenton Veterinary Hospital is to treat our clients and their pets with respect, dignity and compassion. We are honored when you entrust us with your pet's care. We will maintain an upbeat clinic where tails wag and clients and staff find reasons to smile!